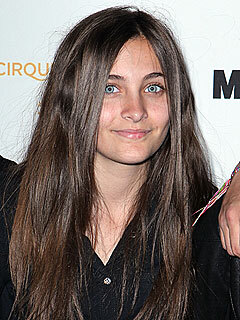 Three years after Michael Jackson died at age 50, his daughter Paris says the pain of his loss still lingers. “It never gets any easier,” the 14-year-old tells Oprah Winfrey on Oprah’s Next Chapter, airing Sunday on OWN. Jackson died in June 2009 of an overdose of the powerful anesthesia propofol. His physician, Dr. Conrad Murray, was sentenced to four years in prison after he was convicted of involuntary manslaughter for administering the drug. Paris is pursuing an acting career, starring in the upcoming fantasy movie Lundon’s Bridge and the Three Keys. This entry was posted in Entertainment News and tagged actress, daughter, death, Michael Jackson, Oprah, OWN, Paris Jackson. Bookmark the permalink.